Viswanathan Anand secured an easy draw against Shakhriyar Mamedyarov of Azerbaijan in the 10th round of the Candidates Chess. 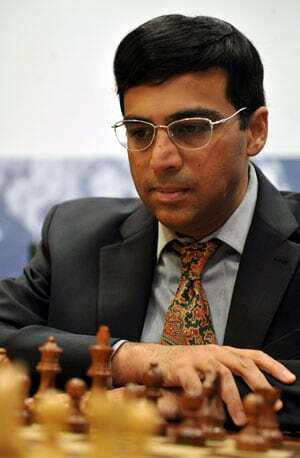 Former world champion Viswanathan Anand remained on course for a rematch with Magnus Carlsen of Norway after securing an easy draw against Shakhriyar Mamedyarov of Azerbaijan in the 10th round of the Candidates Chess tournament here. Kramnik remained on 4.5 points and he has Andreikin as company while Topalov is at the last spot another half point adrift. Apart from the match for the next world championship, the winner here also takes home 135000 euros. Playing with white, Anand stuck to his guns and repeated the moves of his previous round game against Topalov. The opening went off well for Anand but Mamedyarov was probably not impressed and came up with the equaliser in no time.